Global Midwest Alliance invites you to its first program in the Alliance's 2019 Innovation, Growth and Globalization Industry-Focused Series. Past food industry programs have focused on food safety and policy changes, science-based opportunities, global food production and sustainability, food supply chain management, reducing food waste and expanding food trade. ​Food packaging has become a vital source of reinvigoration for a stable, yet evolving sector. The food industry is undergoing rapid changes as new products and categories are developed for consumers demanding fresher and tastier options. 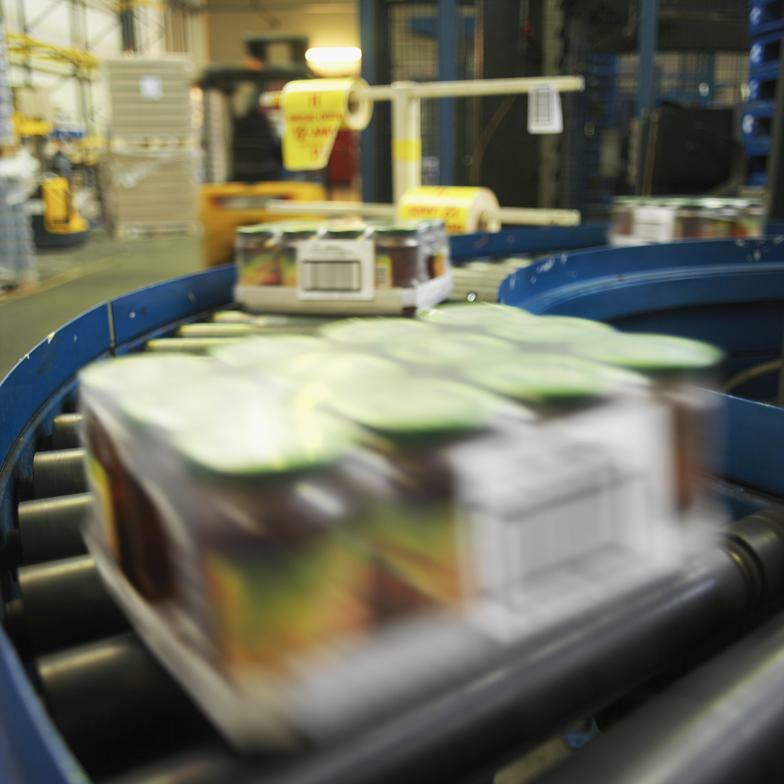 Packaging provides a valuable link between those producing and those consuming food products. Businesses can leverage packaging innovations to create value, develop new markets and foster employment. Moreover, important issues related to food safety, distribution and trade revolve around innovative packaging techniques and equipment. Global Midwest Alliance will explore these themes during a lively and though-provoking morning seminar at the Federal Reserve Bank of Chicago. The program will feature a keynote speaker and two panel discussions with informative speakers from across the supply chain, along with ample time for networking. The Keynote Presentation will focus on how branding and package design has changed buying habits. The Innovation Panel will discuss packaging innovations and technology as drivers of change in the food sector. The Growth and Global Opportunities Panel will delve into opportunities for businesses to expand globally, particularly through gaining a competitive edge from better food packaging. Attendees will have the opportunity to network with industry leaders, service providers, and C-suite executives of packaging, food, government, agriculture, beverage, service companies, economic development specialists and other organizations as we investigate the role that packaging innovations will play in the future of the food industry. The cost to attend this industry breakfast program is $95 per person, payable at the time of registration. Griffith Foods Worldwide, Inc. is a family-owned, privately held global developer and manufacturer of food ingredient systems. Griffith teams collaborate daily with our customers to create signature and unique food products which will entice consumers' experiences... taking Food Beyond Boundaries™! HAVI is a global, privately owned company focused on innovating, optimizing and managing the supply chains of leading brands. Offering services in marketing analytics, packaging, supply chain management and logistics, HAVI partners with companies to address challenges big and small across the supply chain, from commodity to customer. Founded in 1974, HAVI employs more than 10,000 people and serves customers in more than 100 countries. Established in 2011, the Institute for Food Safety and Health (IFSH) at Illinois Institute of Technology (IIT) is a world-class food science research institute that produces knowledge-based outcomes in the areas of food safety, food defense and nutrition for stakeholders in government, industry and academia. Kerry is dedicated to making the world of food and beverage better for everyone. Every day, millions of people throughout the world consume foods and beverages containing Kerry's taste and nutrition solutions. The focus on changing lifestyles, the globalisation of food tastes and ever-evolving consumer needs has brought us to a market-leading global position. Today, we are firmly established as a world leader in the food, beverage and pharma industries, with 23,000 staff and 100+ innovation and manufacturing centres across six continents. Global Midwest Alliance is a business-led, region-wide organization dedicated to transforming the Midwest into an internationally recognized leader in innovation and business growth. The Alliance aligns and integrates resources throughout the Midwest helping businesses to grow by leveraging existing resources to develop new products and find customers throughout the world. The Alliance is the Private Sector Liaison Office for the World Bank and a member of Global CONNECT. Through these and other affiliations, the Alliance facilitates access to global business opportunities for Midwest business. The Alliance offers educational and networking opportunities through a variety of programs and resources designed to promote innovation, technology development and access to global opportunities in the clean technology, energy, food, logistics, manufacturing and water industries. The Private Sector Liaison Office (PSLO) Network of the World Bank Group is a group of 160 business intermediary organizations in 100 countries around the world working to foster trade and investment between countries with the support of the World Bank Group's products and services. PSLOs facilitate companies' access to World Bank Group business opportunities, services and knowledge, and act as the voice of the private sector in advising the World Bank Group on how to better engage companies on development issues. Jim Hilton, Director Vertical Marketing, Zebra Technologies Corp.
Dave Donnan, Partner Emeritus, A.T. Kearney, Inc.